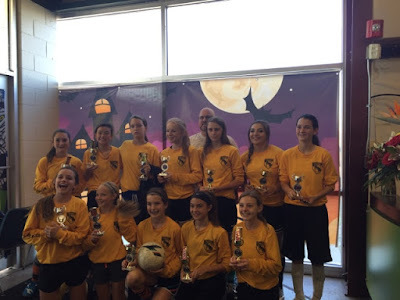 Amber's soccer team played in a 3V3 tournament in October. They divided up to make two teams. They ended up playing each other in the final game, so one team took first and the other team took second. They had so much fun. Way to go girls! !